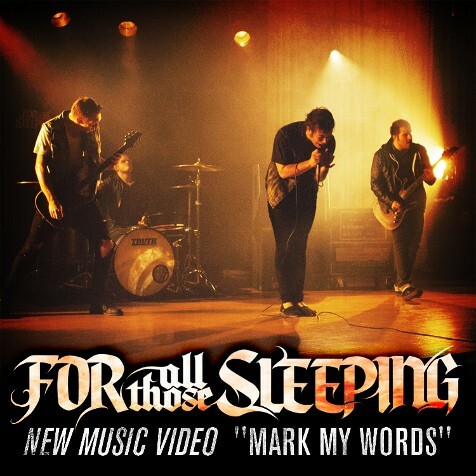 On Feb. 4, Minnesota metalcore heavies For All Those Sleeping will be releasing their video for the song "Mark My Words" from their recently released album, Outspoken. The band has shared with Noisecreep some exclusive images from what sounds like a pretty unique shoot. You will not see these pictures anyplace else but here! 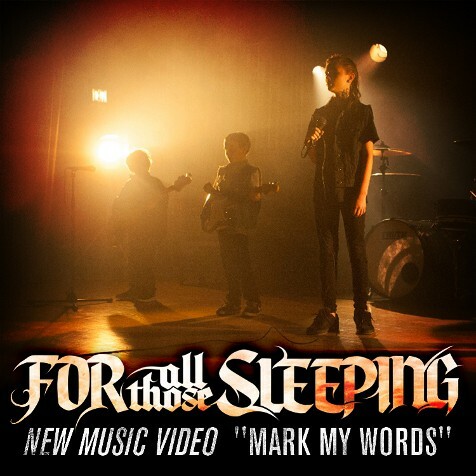 Here's what lead vocalist Mike Champa told Noisecreep: "We're very excited to premiere our video for "Mark My Words" that we shot with Cody Blue Snider [son of Twisted Sister's Dee Snider]. It''s a flashback to the band playing at our 4th grade talent show and causing chaos. We shot the video in an actual elementary school during a school day so our song was blaring the whole day and was echoing through out the halls of the school. 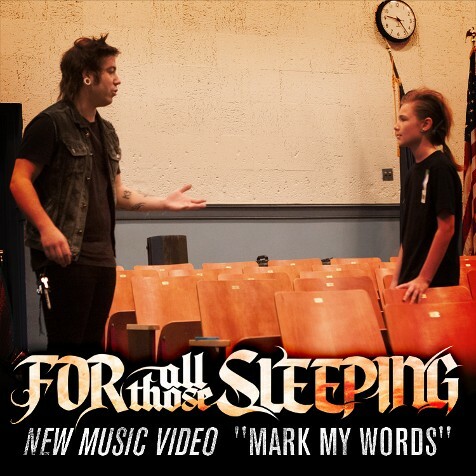 "We even had a class come in to watch while we performed the song, so we were playing this heavy song with swearing in front of all these young kids and their teacher, it's crazy we didn't get kicked out haha. It was a lot of fun working with all the kids and actors and working with Cody and the Snider family on this video that we are extremely proud of." 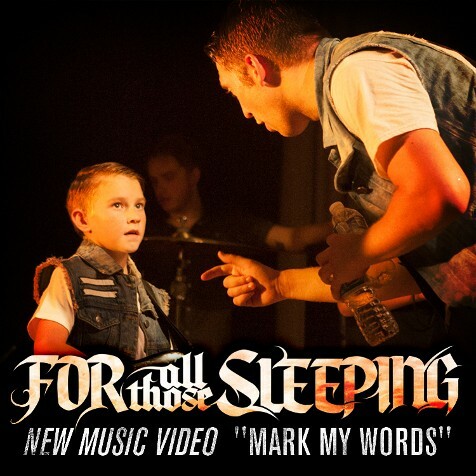 Thanks to For All Those Sleeping and to Fearless Records for providing these cool images!